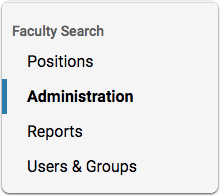 Each applicant to a position in Faculty Search has a profile page where Evaluators can access the applicant's application materials. If settings allow, Evaluators can also assign ratings and leave comments on an application from the Applicant Profile. Note: This article is primarily about the Applicant Profile page as it appears to Evaluators in Faculty Search. Committee Managers and Administrators can perform several administrative functions from the Applicant Profile. Some of these are mentioned below, but most are covered in other articles. Applicant's uploaded materials appear under the "Documents" heading. From here you can access materials to read and make notes from your browser, or download materials. If forms are included as part of the application, you can view how the applicant responded to form questions. The applicant's responses to the form will display in a popup window. Note: Tags must be enabled by your institution. If they do not display, your institution may not have enabled the feature. Applicant details and materials will be attached to the message when you share an application. 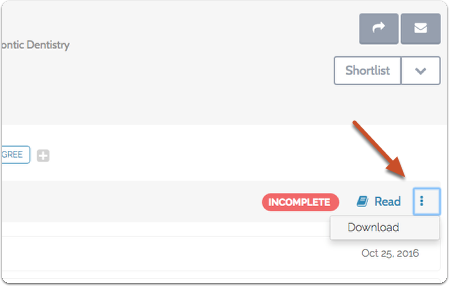 Committee Managers and Administrators can email the applicant by selecting the actions button and then selectin Email Applicant. If enabled, you can rate applicants on pre-established criteria using a simple five-star scale. Depending on how your institution has set up the program, you may only be able to read your own comments. You may see notes providing additional information about this application such as hiring notes, application notes, or offer notes. Notes can be created can by Committee Managers and Administrators, but are visible to all members of a committee.